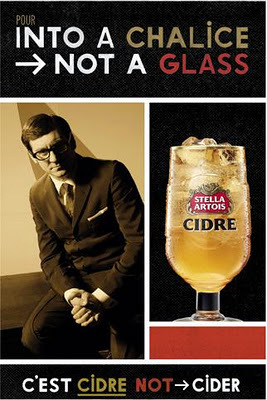 GOD IS IN THE DETAIL: Cidre; How Stella changed the g(n)ame. 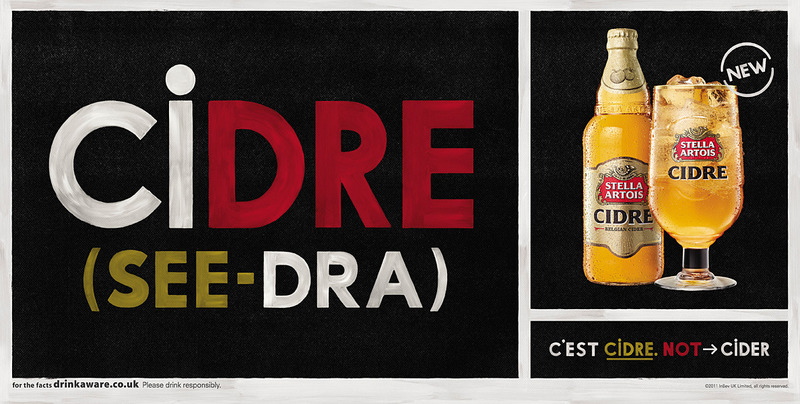 And just like that Cidre stands out from the entire competition. As a consumer you are now faced with a 50/50 decision. You can either drink the old familiar Cider we all know and love (and within that all brands battle it out for your attention with tiny nuances) or you can drink Cidre, the European alternative (in a class all of it’s own). Funnily enough I’m sure some of these other brands are European as well and therefore also technically Cidre, Jacques for example sounds pretty french to me, but they all missed a trick to differentiate themselves so as a consumer I lump them all in together. Add to that one very neat ad campaign highlighting how all the parts of drinking Cidre are specifically not like all the other Ciders (it’s not a glass, it’s a chalice) and you have a pretty resonant, powerful and unique proposition for consumers. PS. Top YouTube comment 'What a wankre'.